What do you do in event of sudden boiler breakdown? Can you survive in a cold home? No hot water? What about the safety uncertainties? Boiler breakdown can be hectic and stressful and you may not have cash ready or enough time for boiler replacement. Do not worry! Eco Efficient Plymouth got your back! We are fully registered and recognised Gas Safe service providers and our quality and reliability in any boiler fixing are unmatched. We operate through a large team of qualified and registered gas and heating pros to deliver quality and affordable repairs in a timely manner. If you need boiler repairs you can fully rely on us in the following areas; Plymouth, Tavistock, Launceston, Exeter, Saltash and Torquay. Give us a call and we will connect you with our repair engineers near you. 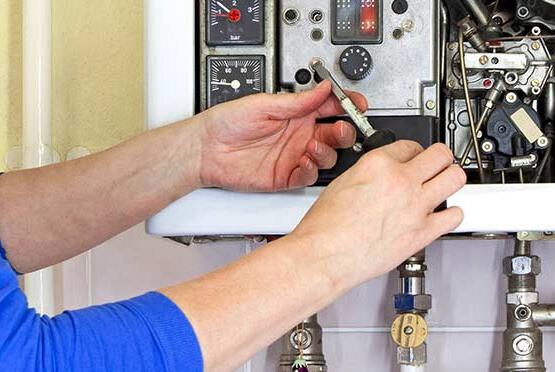 We offer quick response, dependable and pocket friendly boiler repairs in the region and we never disappoint. We give credit to our Gas Safe-authorized engineers, who make themselves available 24 hours a day, 7 days a week throughout the year to help you solve any boiler flaws within the shortest time possible. Some people prefer going for direct boiler replacement rather than boiler repairs. Maybe because they have ready cash, enough for a new replacement boiler installation or they have suffered from incompetent and partial repairs leading to recurrent defects from time to time. While replacement could be the best solution for some major boiler faults, it could be uneconomical for faults that can be fixed with simple minor repairs or accessory replacement. The cost of entire boiler replacement can be quite high and you may never have such amount of money ready when your boiler breakdown. At Eco Efficient Plymouth, we can certify that if boiler repairs can solve the problem for good, it is the most cost-effective way to fix your flawed boiler but only when done by the right qualified engineers. They Can Save You From Higher Future Expenses – Ignored defects will develop to bigger problem which will require major repairs such as parts replacement, which will cost you a lot more than having the defect resolved as soon as it is noticed. Safety –Some boiler issues could lead to health problems, injuries or massive destruction if not repaired at an early stage. Do not put your family and property at risk. Eco Efficient Plymouth will help you to identify and fix any errors that could end up being dangerous and hazardous. Energy Efficiency – On top of getting your boiler services back, repairs rectify energy inefficiencies making your boiler to be more effective and reduce your energy bills. Whenever you experience boiler difficulties, do not hesitate to call us. We have a ready solution for you.